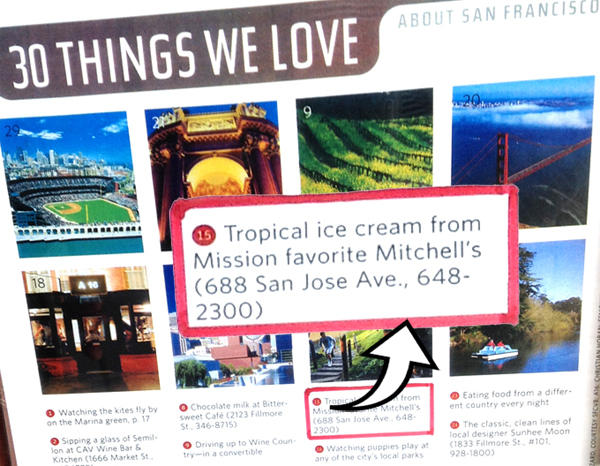 The proof is in our products, and to learn more about them, here’s what our customers, food critics and travel guides say about why Mitchells Ice Cream has become a San Francisco landmark! 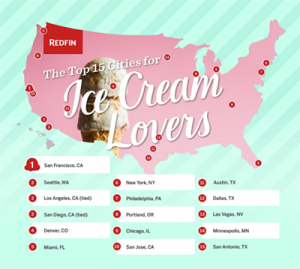 San Francisco rated #1 when Redfin researched which cities have the best ingredients to satisfy ice cream lovers across America. Mitchell’s Ice Cream was rated first in the list of six mentioned by Redfin. 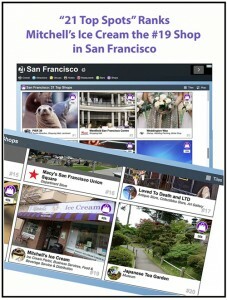 In all there are 61 ice cream shops in San Francisco, making this a great honor for Mitchell’s! 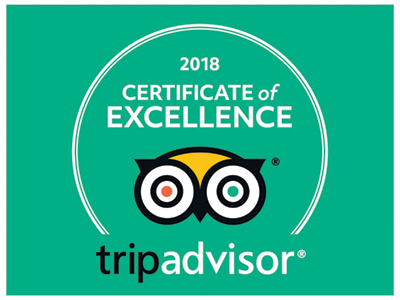 This Certificate of Excellence honors accommodations, restaurants and attractions that consistently receive great traveler reviews on TripAdvisor. Once again Mitchell’s Ice Cream has received consistently excellent reviews on TripAdvisor. Stop by and enjoy our excellent service…..and ice cream, sorbets and seasonal specials! 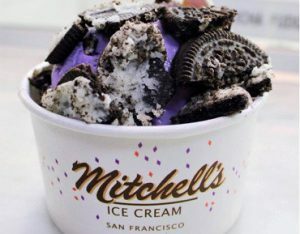 “Every Day is Ice Cream Day” featured Mitchell’s Ice Cream in it’s summary of the best ice cream in the nation. Mitchell’s was listed in the Team West Side section. The San Francisco Small Business Commission, the Mayor and the San Francisco Board of Supervisors honor and recognize an exceptional small business from each of San Francisco’s 11 districts each year. 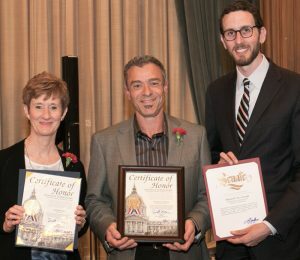 Linda Mitchell and Brian Mitchell happily accepted the award on behalf of Mitchell’s Ice Cream in 2016 from District 8 Supervisor Scott Wiener. “21TopSpots” uses Facebook statistics, Google ranks, reviews and some magic to rank the best spots for over 100 cities in the world. 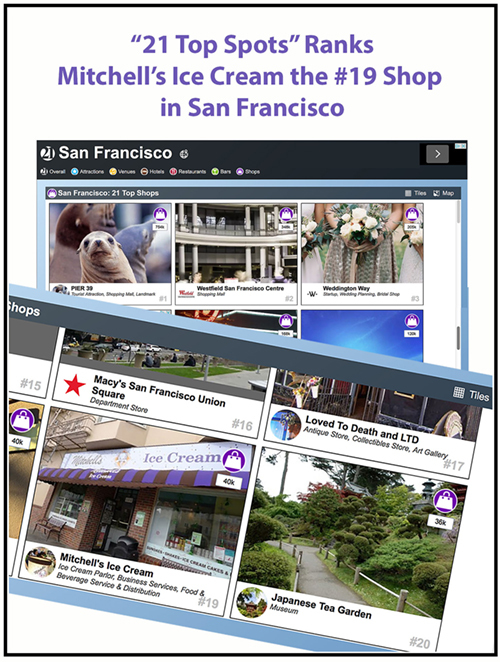 For San Francisco Mitchell’s Ice Cream ranks as one of the top shops in San Francisco on the list of 21 top shops—THANKS to our many customers and fans! Voters named Mitchell’s Ice Cream the Best Ice Cream Shop in the Bay Area area for 2015. To determine the winner, voters had more than 30 nominees to choose from. 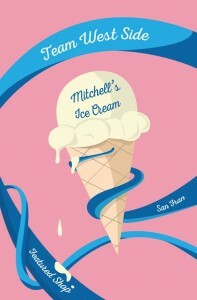 Congratulations to Mitchell’s Ice Cream! Read all about it!. Mitchell’s recipe for Mango ice cream is featured in Lesley Clendaniel’s “Scoop Adventures: The Best Ice Cream of the 50 States”. Check it out on page 114, or stop by to sample it for yourself! See Zagat’s “Must Order” and “Go Crazy” flavor listings. In honor of National Ice Cream Month in July, the magazine asked its Twitter followers for their favorite ice cream shops around the world. 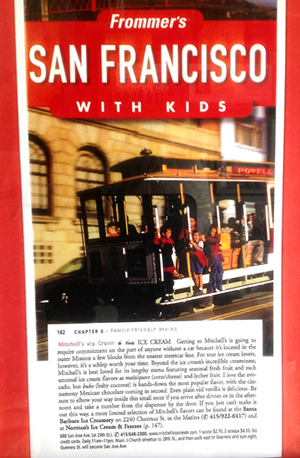 Mitchell’s was one of 14 “bests” featured on the “Traveler” site. Thanks @goodnewsmuse. Stop by for a “dip”. We tasted their chocolate; their best-selling Halo Halo, a tropical blend including purple yam, jackfruit and pineapple; and their Macapuno, or sweetened coconut. And we fawned over them all. Manager Linda Mitchell believes it’s the quality of ingredients. Mitchell’s has stuck with many of its suppliers for more than 60 years, and it puts cream at the top of the list. 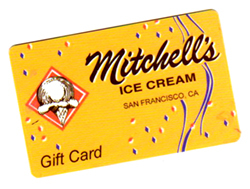 Mitchell’s uses ice cream mix that’s 16 percent butterfat—the highest of any shop we spoke with. Most of the new-guard shops, use the ice cream mix from Marin County’s Straus Family Creamery, which is 14 percent butterfat. Another that makes its own mix, is also at 14 percent. The difference? More fat makes for a creamier texture, but also hardens the ice cream because butter freezes into a solid. So a delicate balance needs to be struck with sugar (or alcohol), which acts as a softener because it doesn’t freeze. “Let’s face it—ice cream never goes out of season. Even in the midst of winter chills, we treat ourselves to scoop after scoop—especially during the holidays, when seasonal ice creams join the fray. Flavors like pumpkin and peppermint, available now through the New Year at most markets, add a festive flair to ice cream’s already popular ranks. So for this week’s Taster’s Choice, we tackled pumpkin ice cream. Of the six varieties we dug into, a familiar local brand had the top scoop.